Turtle Hatchery in Sri Lanka. Those tourists who are traveling in Sri Lanka used to visit these turtle hatcheries that are located near to their hotels or that are on their tour route. Most of the private drivers used to inform them about these attractions if the travelers are not aware of these places. Turtle population is in the decrease due to human behavior and natural environment. So many people are engaged in the sector of protection of these turtles all over the world. In Sri Lanka too there are many private and public organizations are working on many projects that are supported to these endangered spice. 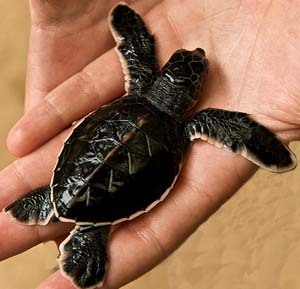 For example Kosgoda sea turtle conservation project is looked after by the Wild Life Protection Society of Sri Lanka. Here you can find hatchery with eggs, young turtles in small tanks that are ready to go in to the sea for their long life. If you are lucky you too can participate to release those young turtles in to the ocean. Most of the Turtle hatcheries open from 9.00 am to 5.00 pm everyday including Sundays where there will be lot of people used to get there to learn about the life circle and their habitations. Releasing of the young turtles in the ocean used to take place around 6.00 pm. As a visiting tourist you can request Chinthaka to include the turtle hatchery in to your itinerary to view or participate in the events over there. There used to be green baby turtles and eggs in the hatchery round the year. Some of the hatchery offers you to view albino turtles which are very rare to survive in their sea life.